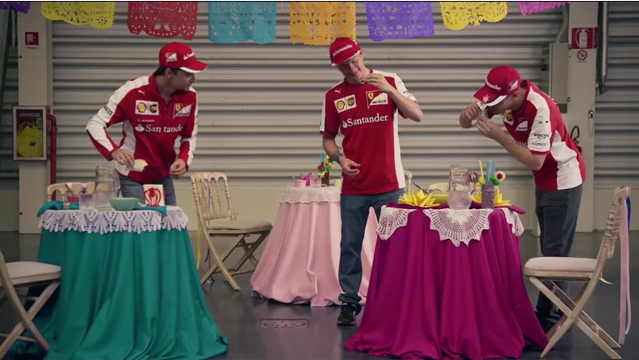 As Scuderia Ferrari prepares for the upcoming Mexico Grand Prix, Mexico born Ferrari racer Esteban Gutiérrez gives team members Vettel y Raikkonen a quick — and hilarious — 5-step tutorial on how to prepare for Mexico. This entry was posted in Latin America, Marketing & Advertising, Mexico and tagged Ferrari, Formula Uno, Grand Prix, Mexico, Monterrey, Scuderia Ferrari. Bookmark the permalink.